Emakina’s team in Stockholm has amassed an enviable collection of gold and silver prizes with a campaign created for Swedish bank SBAB. Together with the client, they have been a breath of fresh air in the industry with a bold, successful challenge to traditional financial communications. And they did it in style, with a big smile. How? They decided to make the most tedious topic in the land, ‘Financing your home’, into a hilarious and hot media topic. And it worked: they proved that with a strategy of entertainment and comedy, it’s possible to win the sympathy and support of a whole country, while boosting a bank’s results. The idea was as crazy as it is brilliant. ‘Household finances’ are super boring. Let’s challenge the country’s most iconic funny star to make a show about it. And, we’ll follow him on his journey to stand-up comedy glory. Comedian Erik Haag accepted the challenge to create a show on this less-than-inspiring subject. Across eight months, the campaign followed his progress. And Erik, SBAB and Emakina did it! 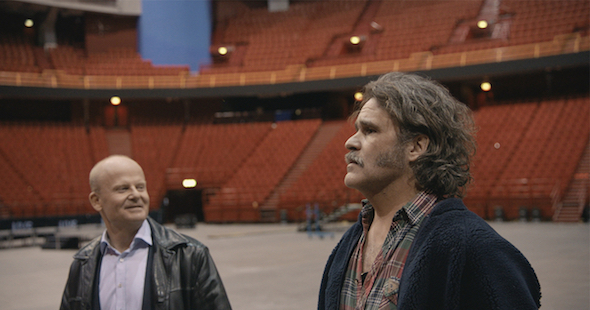 Together, they filled over 10,000 seats of Stockholm’s biggest auditorium! The story spread like wildfire, melting Swedish hearts. and our client’s sales spiked! So naturally, all Swedish marketing and communication awards united in praise of the campaign’s originality and even more for its massive impact. At the Swedish Content Awards, SBAB took gold in ‘Innovation’ and silver in the ‘Bank and Finance’ category. Then, the Stockholm Media Week Awards added their highly-valued Silver Award for ‘Best Campaign of the Year’. Also at the SWEDMA association’s Golden Key Awards, SBAB and Emakina struck gold again, in ‘Finance & Insurance’, and silver in ‘Digital and Social Channels’. And last but not least, Komm Association’s Guldägget or Golden Egg nominated the campaign for nest – sorry best – integrated campaign. All the professional juries praised the courageous bank, that dared to not take themselves so seriously. And they applauded their agency as well, for being bold and breaking the ice, and delivering a remarkable campaign, with a highly entertaining multimedia mix. So, there you have it: even in an industry that has traditionally thrown serious arguments at people to win them over, it’s possible to melt hearts, even Swedish ones, with wit and clever marketing. The challenger SBAB created a campaign so interesting and amusing, that over 10,000 people actually paid to see the show. Leaving every other bank looking even more boring than before, and boosting its bottom line.